This website exposes to public view the identity of apparent or confirmed copyright or trademark violators who have declined to stop their violation. Using the Heisenberg Journalism Principle, also referred to as the Sunshine Principle, articles here shed the light of public exposure upon improper, illegal and generally disreputable marked-up copies of online trademark® and copyright© violations including web articles that have been posted by copyright violators and content plagiarists. Information provided here includes a link to violating material or copyright name, the violator's business or personal name, and their contact information. Also provided is a link to the original copy from which the trademark, copyrighted or plagiarized material was copied without permission. Trademark violations are the responsibility of the owner / user of the violating name. Mere registration of a trademarked name is not itself a violation of the law. But unauthorized use of a trademarked name at a website is illegal. Courts have held that owners of domain names who have usurped trademarked names have been forced to surrender the registered name. Plagiarism is theft of intellectual property and is illegal. It also reflects poorly on individuals or businesses who make use of plagiarized material and by the concomitant theft of website traffic web theft plagiarism also inflicts recoverable monetary damages. Notice: Removal of plagiarized material and copyright-violating-material is the responsibility of the owner / author of the offending website where the illegal copy is published. 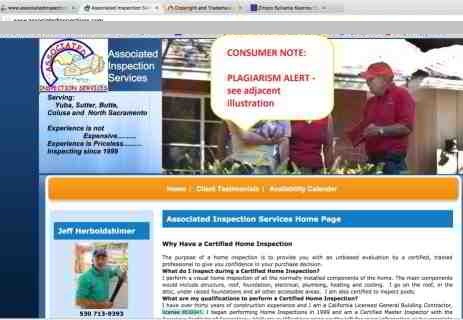 CONSUMER PROTECTION NOTICE & Consumer Warning about Jeff Herboldshimer, Associated Home Inspection Services, Yuba,Suter, Butte, Colusa, North Sacramento : Here is an egregious case of plagiarism observed on 03/13/2014, also violation of copyright law. and used it without our permission. This is not only a theft of content and a violation of federal copyright law, it is also a theft of website traffic and thus our income. You need to remove this and any other content at your website that you have copied from InspectApedia.com immediately. Plagiarism observed on 11/2/2015, again on 12 Nov 2015 also violation of copyright law. We have corresponded several times about your continued publication of material improperly and illegally copied from our website. It's not a victimless crime - as your copy takes away our web traffic and thus our ability to support the website. Your copy of our mateiral is a violation of federal law, and it's plain wrong. Yet it has not stopped. 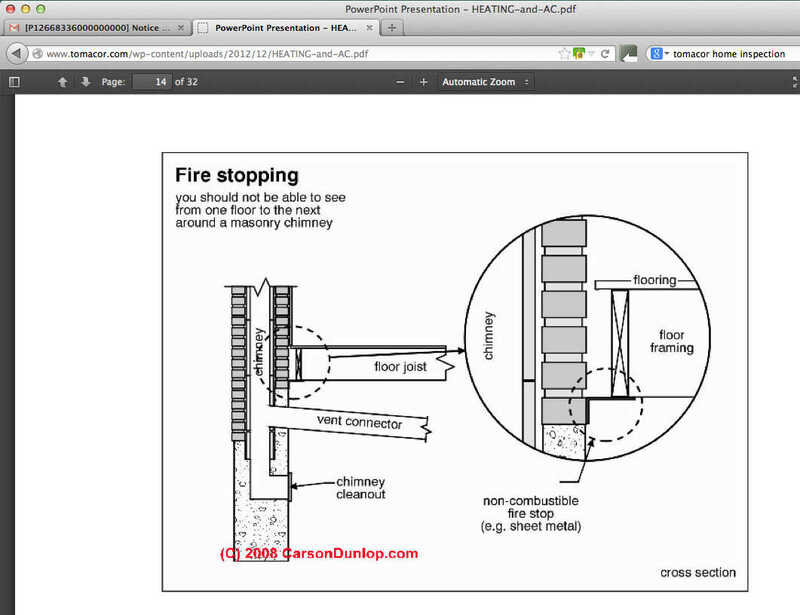 Screen shots of the offending website and the copyright-protected document on FPE are shown above.. This is a legal cease and desist order that requires immediate action on your part. 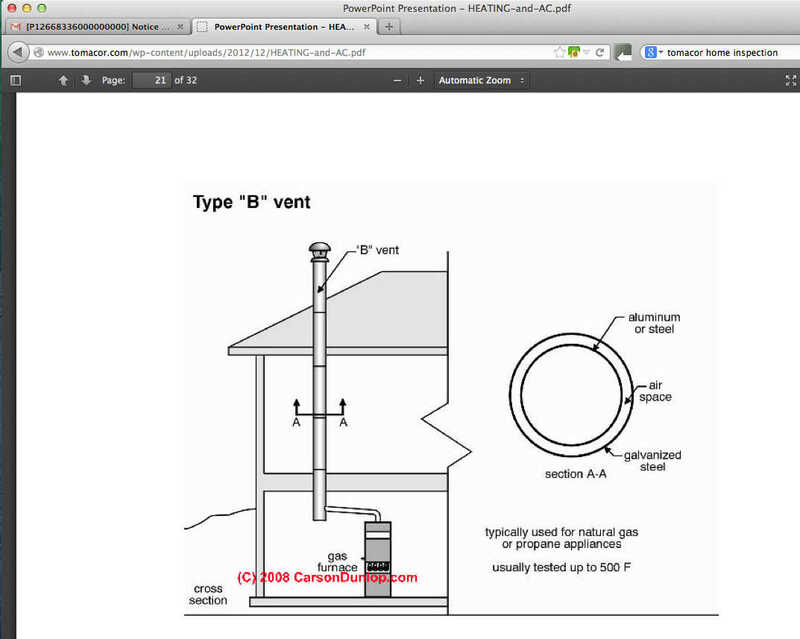 You have created a PDF of our (C) copyright protected material and used it without our permission. This is not only a theft of content and a violation of federal copyright law, it is also a theft of website traffic and thus our income. You need to remove this and any other content at your website that you have copied from InspectApedia.com immediately. CONSUMER PROTECTION NOTICE & Consumer Warning about Tom Corbett and Tomacor Home Inspection Firm in Chicago: Here is an egregious case of plagiarism observed on 03/13/2014, also violation of copyright law. Here is a screen shot of Google's search engine response to a search for "guide to mixing valves" on 4/7/14, weeks after Mr. Corbett was asked to remove the plagiarized text from his website. You have created a PDF of our (C) copyright protected material and used it without our permission. This is not only a theft of content and a violation of federal copyright law, it is also a theft of website traffic and thus our income. You need to remove this and any other content at your website that you have copied from InspectApedia.com immediately. What material are you referencing? I included the link to your copy of our material in my original email. Regrettably, after more than a month following being notified, and after what appears to have been more than a year of plagiarism, Mr. Corbett had still failed to remove the offending material. Unable to obtain further response from Mr. Corbett, the combination of blatant theft and re-use of copyright protected material by Mr. Corbett at his website left no alternative but to pursue legal action. 1. It has come to our attention that iPage Hosting is hosting a website located at the URL http://www.tomacor.com (the “Site”). The Site contains infringing use of copyrighted material owned by InspectAPedia (the “Material”). The Material originates from InspectAPedia’s website at http://www.inspectapedia.com. 4. I have a good faith belief that the use of InspectAPedia’s copyrighted Material on the infringing Site is not authorized by the copyright owner, its agent, or the law. 5. I swear, under penalty of perjury, that the information in the notification is accurate and that I am authorized to act on behalf of the owner of an exclusive right that is allegedly infringed. This letter is not an exhaustive recitation of InspectAPedia’s claims in this matter, and is accordingly written without prejudice to InspectAPedia’s rights and remedies in the foregoing, all of which are expressly reserved. We write to follow up on your notice of claimed infringement. We disabled access to the website(s) cited in your notification as containing allegedly infringing material pursuant to the Digital Millennium Copyright Act (DMCA). Please note that the website owner retains the right under the DMCA to file a counter-notification. In the event that occurs, we will provide you with a copy of the counter-notification. We trust the above addresses your concerns. Should you have further questions, please contact us. Update on Tom Corbett, Tomacor Copyright Violation & Plagiarism Activity - Plagiarism of content continues to be present at the Tomacor website as of 28 April 2014. 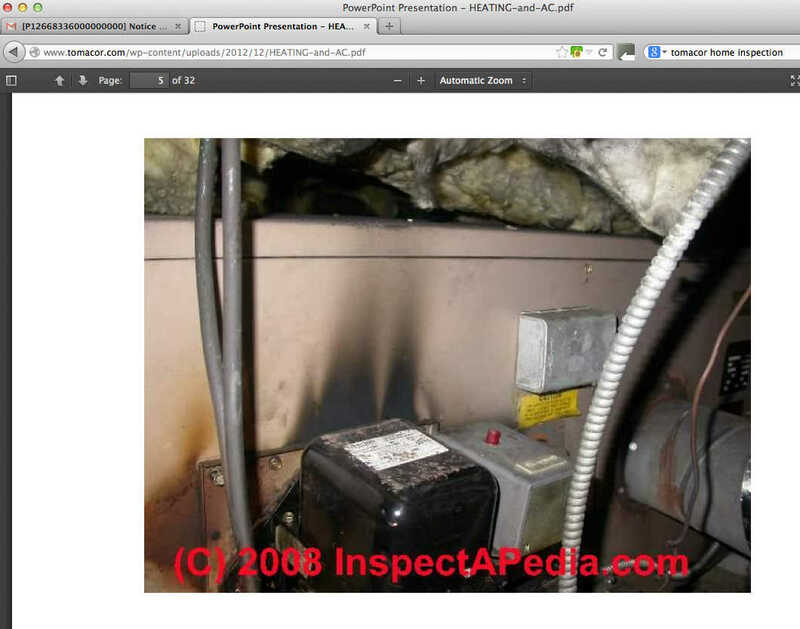 InspectApedia's attorney informed us that Mr. Corbett called to understand the problem. The attorney explained that "as long as the infringing material was removed we were fine with the rest of his website going back online." We since heard from his web host, and that is what has happened. The site is back up, and the [original plagiarized] PDF is no longer available. 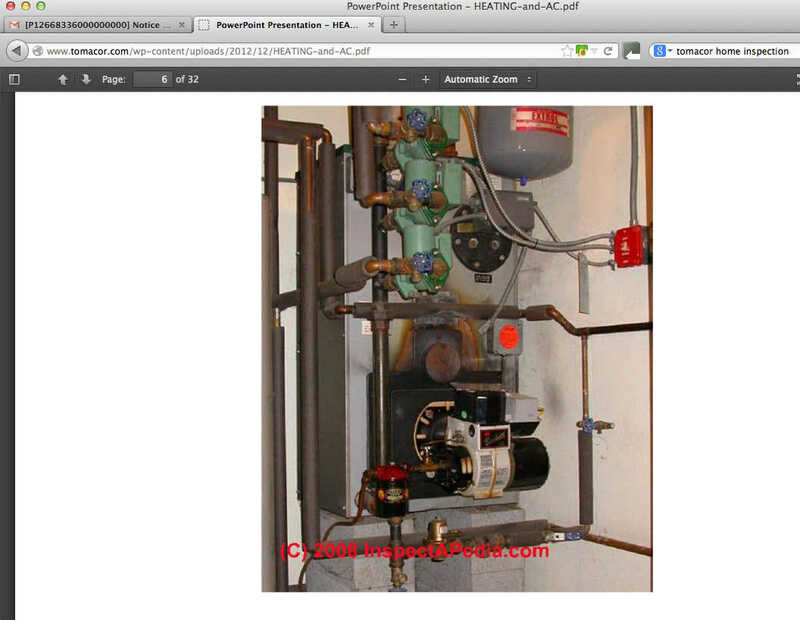 Here is an example of additional plagiarized content that has not been removed - this PDF contains three of (C) photos re-labeled, still bearing the original website's (C) Notice. 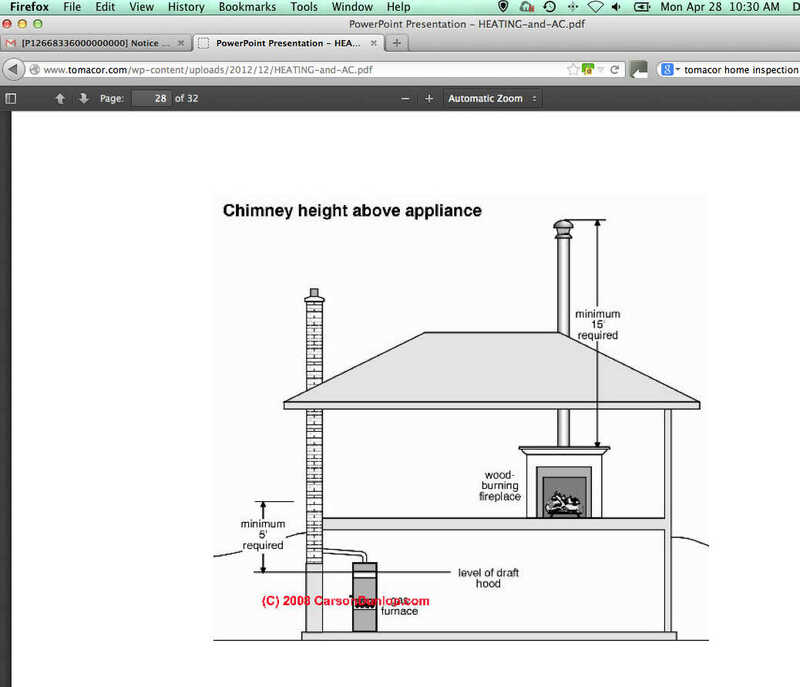 Mr. Corbett has also taken without permission four illustrations originally produced by Carson Dunlop Associates (on Fire Stopping, on Type "B" heating vents, on Heat Pump Schematic Summer Mode, Chimney Height above Appliance). Those red (C) 2008 Carson Dunlop Associates stampings on those illustrations were put on those images when used with permission at the InspectApedia website. is the file containing plagiarized content. Contains illustrations on page 1 and page 5 that evidently are plagiarized from Carson Dunlop Associates (Toronto) but the (C) notices are absent, removed or cropped. 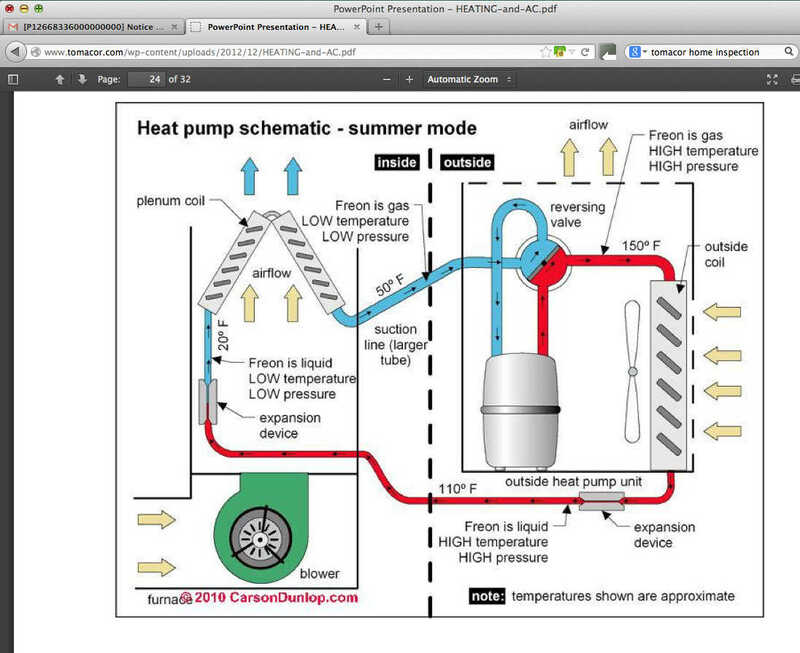 This online work in the material here demonstrates a blatant disregard for copyright law and rights. According to the attorney handling this case, the Tomacor website author informed the attorney that he was unaware that he had plagiarized material, didn't know where it was, and required that the original authors inform him of where he had done so - this despite having been given the locations of that material at his website. Subsequently the two PDF files discussed above were removed from the site. This case is suspended pending monitoring results. Consumer warning: by creating a website that places an O in its name instead of an A consumers land on INSPECTOPEDIA.COM (owner, INACHI, Nick Gromiko). 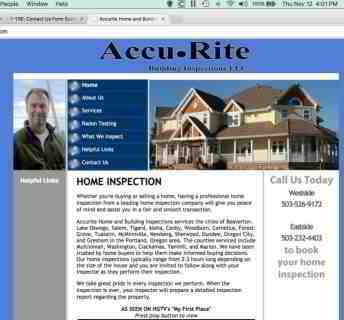 That website name confuses the public and many home inspectors between two different organizations and websites. InspectAPedia.com ® with an A in its name is a registered U.S. Trademark and is the primary online resource for the Online encyclopedia of building & environmental inspection, testing, diagnosis, repair, & problem prevention advice - illustrated, detailed, in-depth research on finding, diagnosing, testing, correcting, & preventing building defects, energy conservation, & indoor environmental hazards. No Conflicts of Interest: no financial relationship with products or services discussed. Response from INACHI: InspectOPedia.com is owned and hosted by iNACHI, operated by Nick Gromiko, founder of InterNachi. Response provided by Mr. Gromiko to a professional, neutral third party negotiator, "we have no intention of releasing this name"
Complaint by trademark owner: We have had multiple complaints from readers who report being confused by the "lookalike" name (InspectOPedia.com/) ... and ...the trademarked site (InspectAPedia.com ® ) including home inspectors who have paid fees thinking that they were obtaining advertising listings at "InspectAPedia". 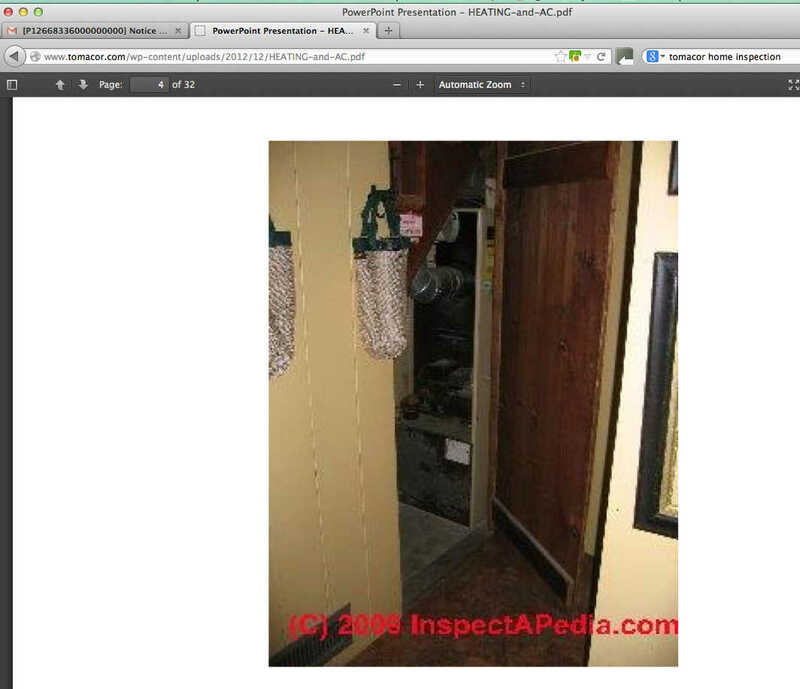 [InspectAPedia.com ® does not charge any fees whatsoever for home inspectors or other professionals and offers free directory listings at Directory of Professionals to Inspect or Test a Building. InspectOPia.com - hosted by Mr. Sean Pecor, a website designer. 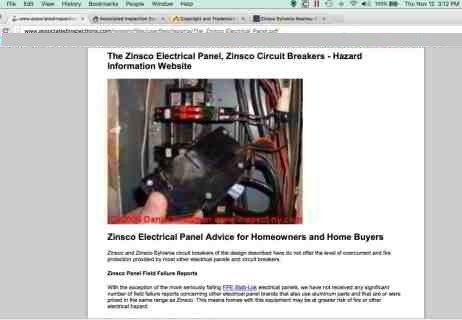 Inspectopia.com offers free and paid referral listings for home inspectors. 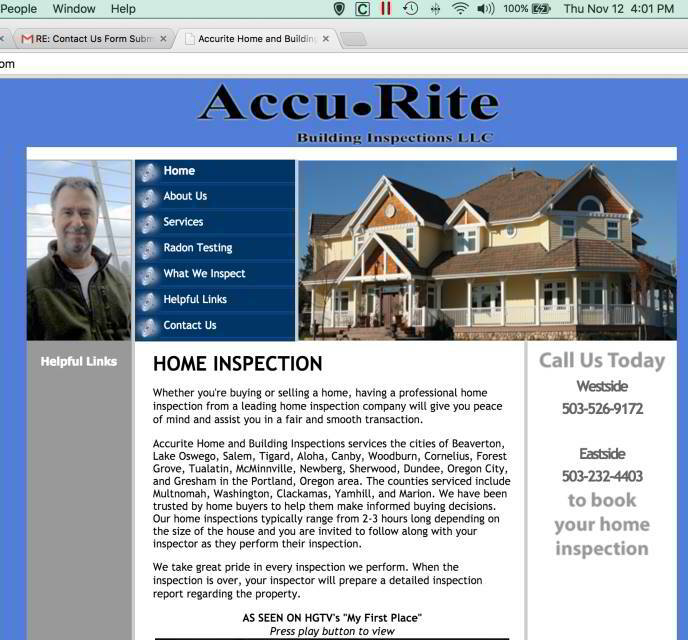 Home inspectors have indicated confusion between website names and in some cases inspectors have paid home inspector directory listing fees to be included in a home inspectors referral directory provided at InspectOPIA.com while believing they were making payments to InspectAPedia.com. 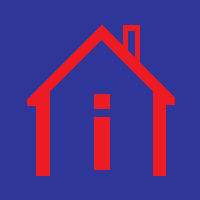 InspectAPedia.com ® also provides a home inspectors directory at InspectAPedia.com ® and emphasizes that no fees are ever charged for home inspectors listed at InspectAPedia.com . 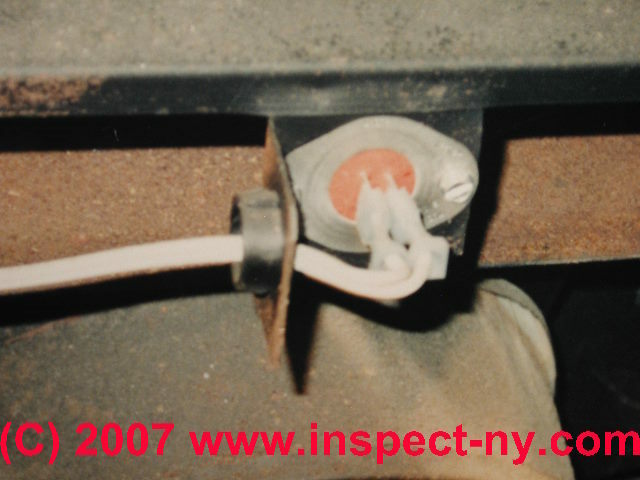 InspectAPedia.com ® is an independent publisher of building, environmental, and forensic inspection, diagnosis, and repair information for the public - we have no business nor financial connection with any manufacturer or service provider discussed at our website. Inspectopia.com - Sean Pecor, Sudden Ventures, Inc. Small Business Advertising uses a "lookalike" name and graphic similar to the trademarked material below. Our concerns are with this website name as well as the graphic, the confusion engendered concerning website identity and concerning inspection directory & referral fees and website traffic diversion. No fees are charged for home inspectors listed at InspectAPedia.com . Resolved: 2015/12/30: the company described below appeared to have removed their plagiarized materials. 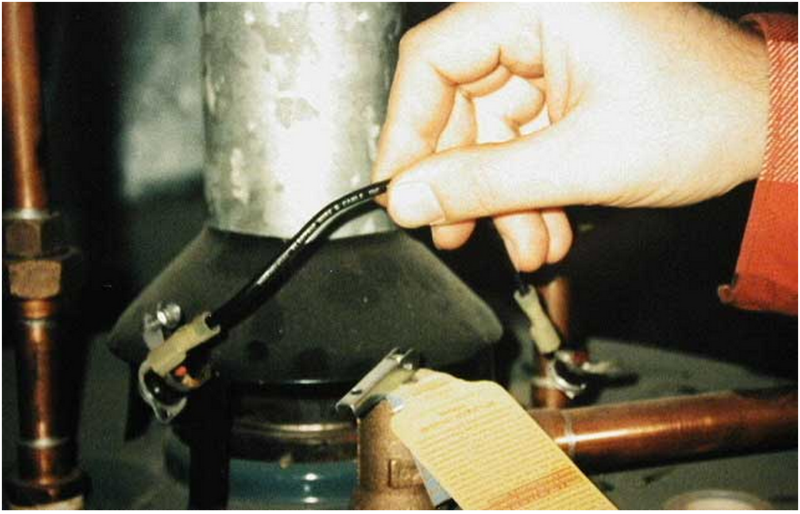 CONSUMER PROTECTION NOTICE & Consumer Warning about UpperPlumbers in the U.K.: Here is an egregious case of plagiarism observed on 12 September 2015, also violation of U.S. copyright law. Upperplumbers is a very large UK plumbing company listing dozens of plumbers throughout London including West London, South London plumbers, South West London Plumbers and South London Plumbers. We can't tell you a thing about the honesty or competence of the fellows who may show up to do your plumbing work but the Webtheft Hall of Shame must report with regret that Upperplumbers has not hesitated to stoop rather towards Lowerplumbers in swiping text and images from other websites to promote their business. 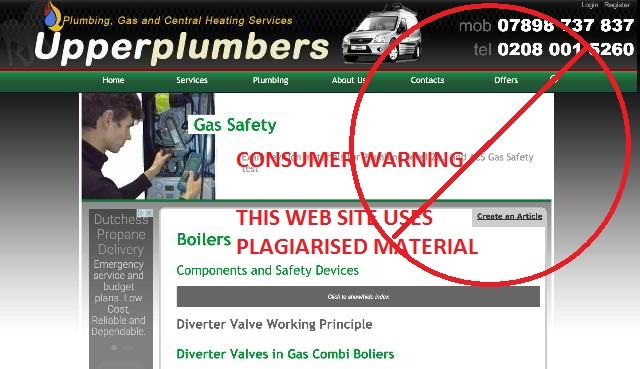 The Webthefthallofshame will remove this consumer warning about Upperplumbers in London, a company offering plumbing services thorughout London when the company removes its plagiarized material from its website. Webthefthallofshame.com has no business nor other relationship with Webthefthalloffamers discussed at this website. To see the beginning of plagiarized content just scroll to Flue Gas Spillage Switches in the page whose link is given above. 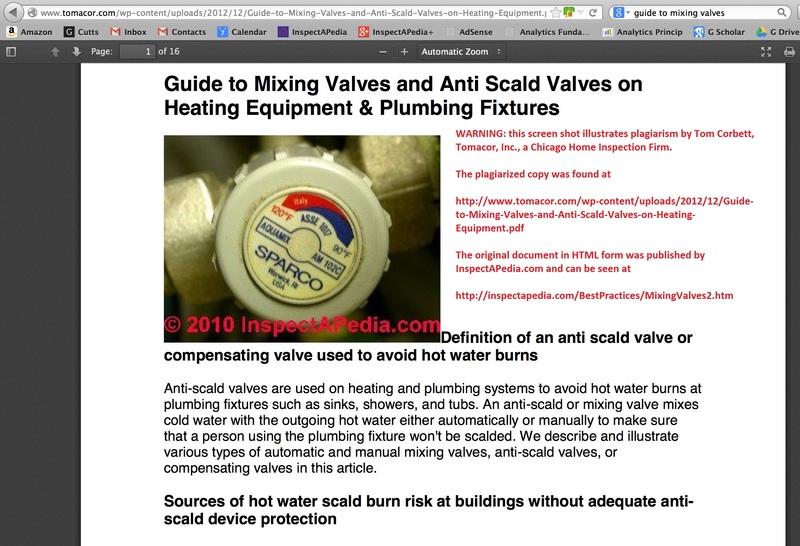 Here is the Upperplumber plagiarized web page in PDF format - copied content extends from the bottom of page 3 of this PDF thorugh the end of the document. 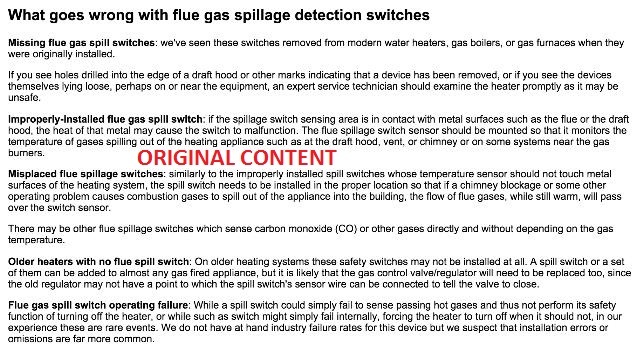 Here is a link to original [not-plagiarized] content by the original authors: http://inspectapedia.com/heat/Spill_Switch_Tripping.php The original InspectApedia.com content on Spill Switch Tripping has been plagiarized (in fact copied verbatim) by owner Yaroslav Gonchar at London's Upperplumbers in the U.K. along with our own original (C) marked photographs. 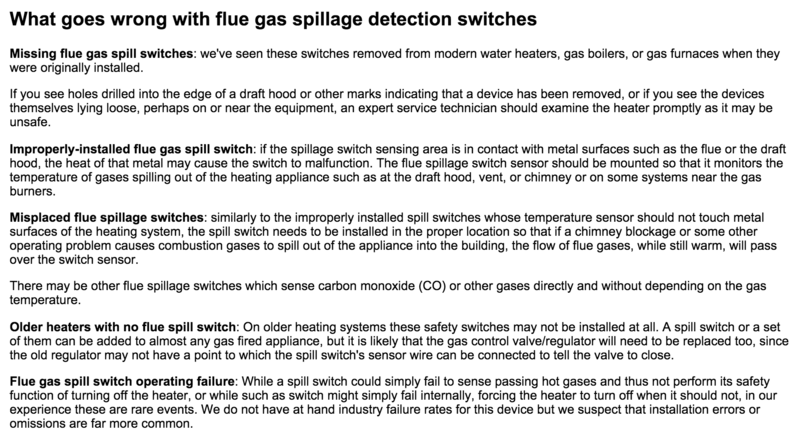 These are just examples - a few excerpts - see the original author's material at InspectApedia original article on Spill Switchesand compare it with the plagarized copies at Upperplumbers.com plagiarized copy of that materialto see that Upperplumbers copied nearly all of the original article, simply making a few spatial rearrangements of the original text. 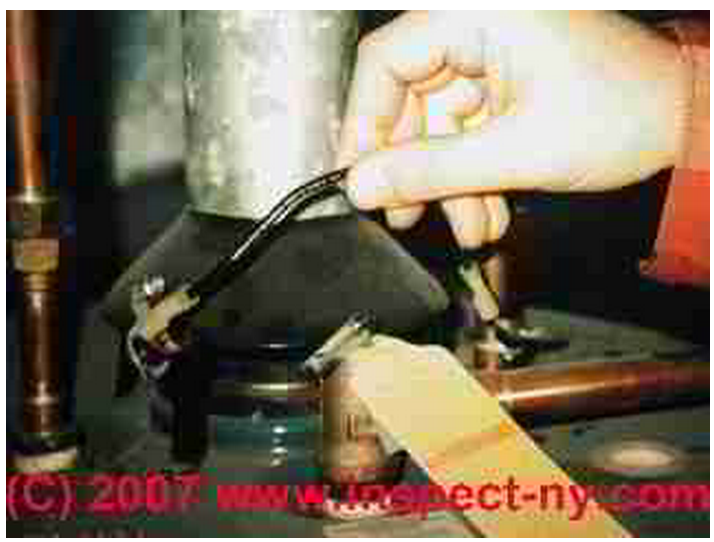 InspectApedia original images (below left) & plagiarized copies (below right) by Upperplumbers.com in the U.K. 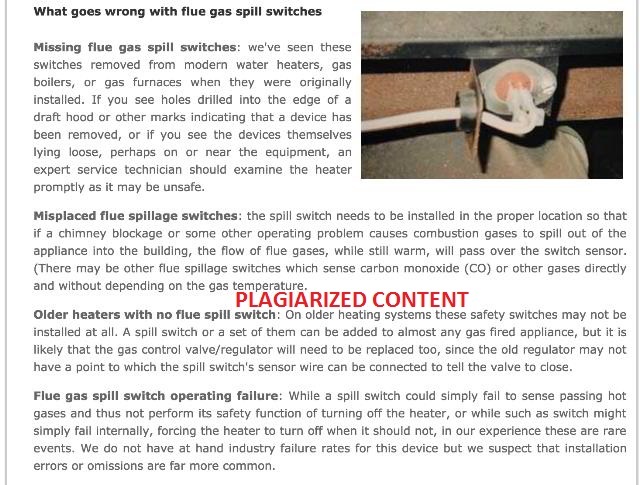 The Upperplumbers plumbed most of the text of the article and represent it as their own work, earning the first Webtheft Hall of Shame award given out in 2015. (a) Anyone who violates any of the exclusive rights of the copyright owner as provided by sections 106 through 122 or of the author as provided in section 106A(a), or who imports copies or phonorecords into the United States in violation of section 602, is an infringer of the copyright or right of the author, as the case may be. For purposes of this chapter (other than section 506), any reference to copyright shall be deemed to include the rights conferred by section 106A(a). As used in this subsection, the term “anyone” includes any State, any instrumentality of a State, and any officer or employee of a State or instrumentality of a State acting in his or her official capacity. U.S. Trademark Law - U.S. Trademark Law, Rules of Practice & Federal Statutes (PDF), U.S. Patent & Trademark Office, 24 June 2010 - web search 11/17/2010, original source: http://www.uspto.gov/trademarks/law/tmlaw.pdf (U.S. Patent Office). Missouri, St. Louis MO 63017-8208 trademark attorney: Morris Turek, 167 Lamp & Lantern Village, #220 St. Louis, MO 63017-8208, Tel: 314-749-4059, Email: morris@yourtrademarkattorney.com "Morris Turek is an experienced trademark attorney committed to providing a full range of trademark services to you and your business. He primarily focuses his practice of law on helping you obtain federal trademark registrations for the valuable and unique names, slogans, taglines, logos, and characters you use (or intend to use) to advertise and sell your products and/or services." California trademark attorney, Trademark Sentinel - Bruno W. Tarabichi, David R. Owens, trademark attorneys, Owens Tarabichi LLP, 111 North Market St., Suite 730, San Jose, CA 95113, Tel: 408-298-8205. 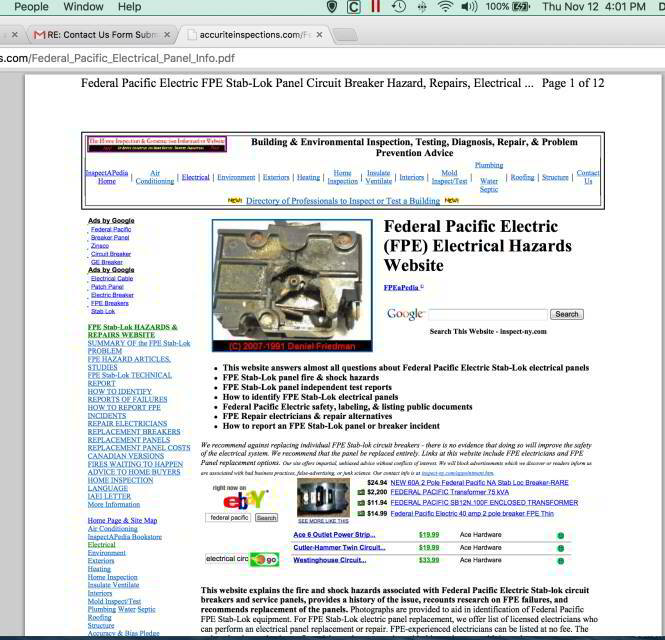 Website offers a "Trademark Primer" and ability to order services online. Offenders and complainants are listed in the Web Theft Hall of Shame at no fee, by the accusers: the originating authors of the material; responses will also be posted. We reserve the right to edit submissions or to post or not post them based on our editorial judgment of decency of language and of accuracy. Offenders and complaints are removed from WebTheftHallofShame.com promptly on our receipt of notice by the originating complainant that the illegal copy of their material has been removed or that they are otherwise satisfied on the issues, or on receipt of other information that in our editorial judgment closes the complaint. 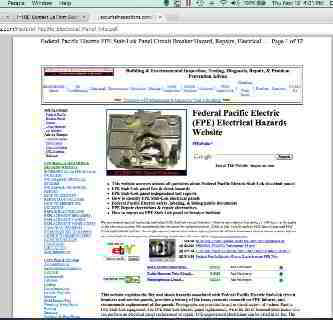 Contact: To have your listing removed from HallofShameWebTheft.com, contact the originating author of the material for prompt resolution and removal from this list. Send us a copy of that correspondence. No fees are involved in listing or de-listing trademark or copyright violations at this website. We reserve the right to list or refuse to list violators or violations at this website. Copy and publish at your website the link exchange text shown just below. Just post that text or html code on a page at a valid, live location at your own website. Email to support@webthefthallofshame.com the information requested in the table shown below. We will reply when your information has been added and will permit update or correction to your data as needed. No fees are involved in listing or de-listing trademark or copyright attorneys or services at this website. We reserve the right to list or refuse to list any company or service provider. 1. Cut and paste into your website page the html code provided below. This is what the link will look like at your website. WebTheftHallofShame.com - exposes to public view the identity of apparent or confirmed website content plagiarists or copyright or trademark violators who have declined to stop their violation. This site also lists U.S. copyright and trademark legal services providers. No fees. Brief description of services, area served, etc. SimpleCode - from SimpleBits.com found at http://www.simplebits.com/cgi-bin/simplecode.pl?mode=process was used to format html code for display as raw html on this website page.